What is the importance of global citizenship? Why should this be an issue of concern? What should be the focus of a global citizen curriculum? How should educators deal with the issue of “too much”? These issues will be discussed individually and the paper concludes with an overview of how these fit together in a decision-making process. A course of study in one subject at a school or college; a list of all the courses of study offered by a school or college; any program or plan of activities. (Collins English Dictionary, 2009). The aggregate of courses of study given in a school, college, university, etc. ; the regular or a particular course of study in a school, college, etc. (Dictionary.com, 2012). The courses offered by an educational institution; a set of courses constituting an area of specialization (Merriam-Webster, 2012). Engaging in a curriculum development process using these definitions makes it difficult to consider how to change curriculum other than to change courses or create a new program of study. However, some curriculum experts suggested the focus should be on aims of learning (Cowan & Harding, 1986) or learning outcomes (Stefani, 2004-05). Stefani, building on the work of Cowan and Harding, showed how the different components of curriculum development are linked together. Figure 1. A simplified version of Cowan & Harding’s Logical Model of Curriculum Development (1986). The model places learning outcomes at the centre and includes ‘why’ in addition to ‘what’ and ‘how’, relating to assessment, learning and teaching (Stefani, 2004-05). From this perspective, the identification of desired outcomes impacts all phases of curriculum design, implementation, and evaluation. For example, as one identifies desired knowledge, attitudes, and skills that learners should acquire, one also identifies possible assessments by addressing not only what should be assessed, but also how and why. The implication is that one would include in the developed curriculum only those items for which the program or institution is willing to hold itself accountable and which are addressed in the other components of curriculum development. As these two activities are completed educators would focus on understanding how learners can acquire those outcomes and developing an organized sequence of means and methods by which learners will acquire them. Evaluation is then addressed by making judgments about the effectiveness of the teaching methods and learning processes used to guide learners to acquire the desired outcomes. One activity that is not explicit in the model is that of deciding how to communicate results to interested stakeholders. However, the model does point to the need to make curriculum development a continuous process; as decisions are implemented, new issues arise that require a new set of decisions. These can have an impact on other components, requiring that curriculum development be seen as a system rather than a set of discrete issues. More detail of how this can work in practice is shown in Table 2 below. Of course, actual practice is much more fluid than this linear, serial description would imply. This is indicated by the internal and external arrows pointed to each of the components. New understandings or techniques might influence educators to make a change in one of the components and this would impact the other components in turn. Nevertheless, the attention to desired outcomes is always at the center of any changes in the curriculum as assessment, learning, teaching, and evaluation activities are designed and implemented. Explicit (or intended) curriculum – refers to the stated knowledge, attitudes, and skills to be learned as well as the subjects to be taught. Implicit (or hidden) curriculum – refers to knowledge, attitudes, behaviors that are learned as part of the culture or ethos of the learning environment, but are not explicitly stated. Null curriculum– what students are not offered or what knowledge, attitudes, or skills are not explicitly or implicitly developed, but could be. Extracurricular (also co-curriculum) – school sponsored programs that supplement the otherwise explicit curriculum. This classification warned educators that the explicit curriculum as stated in identified goals or standards does not address all learning that occurs within the school. Attention must also be paid to the social and cultural climate that evolves as part of the actions of those involved in the education process and the extra-curricular activities that the school sponsors. These can at times be even more meaningful to learners than the explicit curriculum (Frelin & Grannas, 2010). Additionally, the concept of the null curriculum signals a need to at least discuss what is possible even though it might not be practical at a particular point in time. Academic curriculum -- the academic content and skills in the curriculum. Pastoral curriculum -- additional skills such as social skills, study skills, career and occupational counseling. The consideration of two categories of the explicit/intended curriculum and three additional types of curriculum emphasizes the need to consider the institutional climate when considering the creation of a curriculum. Of course, one can always import or adapt a curriculum that has already been developed, but that still requires an in-depth analysis to verify the curriculum meets the expectations of the school community and the needs of the students. Integrating these into a coherent, dynamic curriculum is one of the main challenges facing educators today (Oxley, 2008). Wiggins and McTighe (2007) agreed with Stefani (2004-05) and stated that the proposed three-stage understanding by design (UBD) process should start with stating desired results or outcomes. They then provided additional clarity for the various activities involved in curriculum development. The UBD model detailed how to develop statements of desired outcomes, consider assessment strategies for those outcomes, and design learning activities that create the learning experiences for guiding student learning. Establish goals -- state the desired outcomes in broad terms as well as the standards that should be met. Develop statements of understandings -- develop statements of big ideas that should be learned as well as the levels of understanding that are expected. Develop essential questions -- create questions that promote inquiry and/or connections to prior learning. Create learning objectives -- produce specific statements of what students should be able to do as a result of the learning experience. Performance tasks -- establish the performance tasks that will allow students to demonstrate learning as well as the standards that will be used; focus on the establishment of authentic tasks that are realistic and similar to what adults are expected to do. Contextual analysis -- consider how data on performance tasks will be analyzed such as gains (pre-post), normative (individual/group), or degree of reliability (informal-formal). Make sure learners know Where the lesson is headed (goals and objectives) and Why. Hook learners at the beginning of the lesson (activate attention) and Hold learners throughout. Equip learners with the prerequisite knowledge, attitudes, and skills that will allow them to meet the performance goals. Provide learners opportunities in the learning process where they can Rethink, Reflect, and Revise their understandings and their work. Provide opportunities for learners to Evaluate their progress towards the completion of desired goals and objectives. Tailor lessons as much as possible to reflect individual preferences, interests, needs, and different ways of expressing themselves. Organize the lessons and units in such a way to promote elaboration and extension of concepts and principles to develop deep understanding at higher levels of knowledge (Krathwohl, 2002). Notice that the step of identifying how learning will occur is not addressed in the UBD model. One reason is that the authors promote a constructivistic view of learning (Huitt, 2009) so this issue is not explicitly addressed. However, the specific activities they suggested in the UBD model provide the level of guidance needed to actually produce units and lessons. Wiggins (2005) developed a template to help educators get started with this process. Educators should consider their perspectives of how to view a learner and the learning processes that students will use to acquire the desired outcomes. This is an important consideration as the learning theories provide the foundation for educators as they design instructional activities. As shown in Table 1, different learning theories have radically different views of how to describe the learner. Behaviorism Reactive adaptor Arrange the correct environment and provide the appropriate stimuli; in the case of operant conditioning this means applying the correct reinforcers and punishers. Information Processing Processor of information Define levels of knowledge and/or knowing that learner should attain and arrange the correct environment so those levels will be attained. Social Learning Observer reactor Model desired processes and skills and then use operant conditioning to modify those to the desired standard. Social Constructivism Apprentice Model the desired process and skills and provide assistance to help the learner demonstrate task mastery (scaffolding). Then selectively withdraw the assistance until the learner can demonstrate mastery independently. Cognitive Constructivism Inquirer Arrange the environment is such a way that independent and collective investigation can occur relatively unheeded by outside interference. Humanistic Autonomous agent Assist the learner to develop an understanding of personal interests and goals and facilitate the actualization of personally-important capacities. Social Cognition Embedded agent Facilitate the learner in adapting to socially-prescribed requirements as well as in establishing personal learning goals; facilitate the development of the knowledge, attitudes and skills necessary for meta-cognitive and self-regulation as the learner works to successfully master both sets of goals. Connectivism Networked life-long learner Assist the learner to connect to various networks of knowers, inquirers, and knowledgebases; empower learners to be producers of knowledge that can be accessed throughout one's lifetime. Skipping the step of reflecting on how students learn can lead to designing instructional activities that do not fit well with the other components of curriculum development. For example, the behavioral view of how human beings learn leads to quite different teaching strategies than does the view of the learner provided by a cognitive constructivist view or a humanistic view. The teaching strategies advocated by an operant conditioning theorist would have the teacher carefully develop step-by-step learning activities with rewards associated with completion of each step and then assess those individual skills. The cognitive constructivist would focus on the learner as an inquirer and assist the learner in constructing mental organizations as a result of a learning activity and then assess through projects. The humanist would more likely focus on the personal interests of the student and reflections on the personal feelings of the learner and assess through created products. In summary, this brief overview of curriculum and curriculum development suggests that these are very complex issues that require considerable attention to both strategic analysis and detailed planning. The purpose of the next section of the paper is to emphasize the importance of considering the role of global citizenship in the process of curriculum development. The rapid change in sociocultural context resulting from the spreading of industrialization, the movement to a digital, information-based economy, and the mass migrations of human beings has produced a keen interest in defining what it means to be a citizen (Huitt, 2012a). There are at least three concepts related to a view of citizenship: identity (Banks, 2001; McIntyre-Mills, 2010), loyalty and responsibility (Hansen, 2010; Karlberg, 2008), and rights (Isin, 2009). These issues are discussed more extensively in Huitt (2012a) and will not be repeated here. An important conclusion that can be drawn from this discussion is that the interconnection of levels of citizenship (e.g., community, state, nation, international region) demands attention be paid to each of those in addition to the level of global citizenship. As an example of how one's circumstances can impact one's concept of citizenship, think of various answers to these questions especially in relationship to one's identity and the related issues of loyalty, responsibility, and rights. Think about people you know as well as their friends and acquaintances who would provide answers for questions 2 or 3 that are different from yours. Perhaps you might even know individuals who would provide different locations for all four of the questions. Now think of someone you know whose friends and acquaintances would provide the same answer to all four questions. Think about differentiating characteristics such as level of education; type of work; interest in local, national, or global affairs; amount of annual travel, political viewpoints; religion; etc. Are those people similar and/or different in significant or trivial ways? Do you believe that people who answer these questions differently would think and behave differently or have different values? Here is another way of considering the importance of context and experience when discussing citizenship. Think about how you would answer the question of where are you from in these different circumstances. You have a passport for the country in which you currently live and are attending a meeting in another country. You have a passport from one country, are living in a different country, and attending a meeting in yet a third country. You are talking with a colleague where both of you live in the same country for which you hold a passport and work for the same institution or company in a particular city? The answers you provide to these questions are relative to the person who is asking, the location of the questioner, and your location at the time. You are embedded in all of these levels and you select the appropriate level for the circumstances. As educators work to assist learners to develop an understanding of citizenship, the work of Blatt and Kohlberg (1975) should be considered. These researchers showed that children and youth could understand one level above their current level of thinking about moral issues and could readily differentiate their level from one below that. However, young people had difficulty explaining one level above even though they could understand it. Perry (1999) found a similar situation in his study of young adult's levels of knowing. In this regard, Abrams and Primack (2011) advocated that the concept of cosmic citizenship adds to an understanding of citizenship in important ways. First, the solar system and planet are the result of approximately a 13.7 billion year process that has resulted in one's human physical form being constructed from stars forming and exploding (Brown, 2007; Christian, 2011. Dowd (as cited in Huitt (2012d) stated that "the simple act of breathing (taking in oxygen and nitrogen that originated when a red giant star collapsed billions of years ago) connects every human being to the cosmos." Abrams and Primack (2011) suggested there is a spiritual connection of humanity to the cosmos as “experiencing our true connection to all that exists” (p. 142) and an understanding of cosmic citizenship can provide the foundation for developing "a transculturally shared vision for how to solve global problems" (p. 143). The notion of different levels of citizenship implies that developing an understanding of global citizenship would necessitate providing children and youth with experiences at multiple levels and then having them reflect on those experiences. Additionally, it would seem that Townsend's (2009) admonition to both think and act locally and globally would need to be modified to include thinking and acting cosmically. But exactly what would that mean? One part of the answer is to consider that, as far as is empirically known, human beings are the only creatures with a level of consciousness that allows them to be aware of themselves and their relationship to the cosmos. In this sense, human beings represent the cosmos becoming aware of itself. Being aware of oneself as a cosmic citizen can impact one's identity as well as one's understanding of loyalty and responsibility at that and all less encompassing levels. This awareness creates the potential for a very different understanding of citizenship (Huitt, 2012a). When considering the focus of the curriculum (i.e., the identification of desired outcomes), there are at least three different starting points. First, one could consider different theories of human potential or intelligences and focus on developing those potentials. Second, one could focus on human needs, motives, and what it means to thrive and flourish and focus on those issues. Third, one could focus on identifying the demands of citizenship at a particular point in time such as the fast-paced, global, information-based 21st century society and focus on preparing children and young people to meet those demands. This section will provide an overview of what those different approaches might mean for curriculum development. Anyone who has engaged in even a cursory inquiry on the origins and display of human thought and behavior recognizes there are widely divergent views on human potential. Not only is the issue complicated because of different sources of information such as that derived from science, history, philosophy, the arts, and/or religion, there are disparate views within each of these. This discussion will focus on knowledge based on science, but other sources could easily be used. However, it should be recognized the issue of the source of knowledge must be considered as part of the discussion of curriculum development. From the perspective of science, knowledge of human development within a specific context must provide the foundation for making decisions about curriculum (as well as instructional methods and materials, assessment, organization of schooling and education, and methods of communication with parents and community). The discussion of developing human ability often starts with a discussion of intelligence, especially cognitive intelligence (Adey, Csapo, Demetriou, Hautamaki, & Shayer, 2007). However, researchers such as Gardner (1983, 1999) and Sternberg (1985) have questioned traditional views of intelligence and provided alternatives to the study of human ability to learn and adapt to the environment. The Brilliant Star framework is a view of holistic development that encompasses multiple domains of human potential (Huitt, 2011a), including well-known aptitudes such as emotional intelligence (Mayer, Salovey, & Caruso, 2008) and social intelligence (Goleman, 2006). From this perspective, the development of successful citizenship depends on the development of competence in each of the areas identified as encompassing a human potential. For an overview of each of the domains, click the term in the figure. 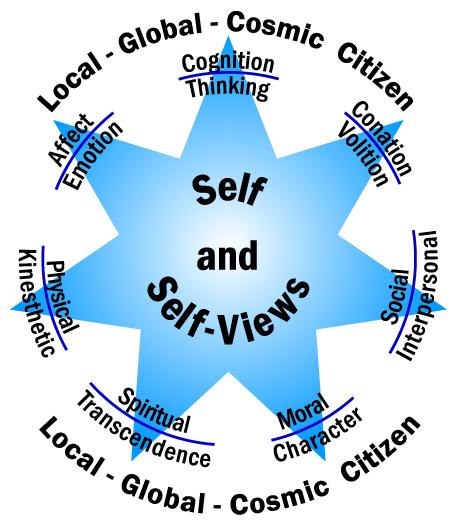 There are a number of other well-known frameworks that take a holistic view of human potential such as the Learner Profile developed by the International Baccalaureate Organization (2009), the habits of mind (Costa & Kallick, 2000), the Integrated Ethics Education program (based on Kohlberg’s theory of moral development; Narvaez and colleagues, 2001), and the list of developmental assets developed by the Search Institute (2011). An analysis of these different frameworks demonstrated that there is no framework that addresses all of the domains identified in the Brilliant Star Framework (Huitt, 2011b). [See Appendix for suggested attributes developed from this analysis.] This is not to say that any one of these approaches is incorrect or not worthy of consideration in identifying desired outcomes for children and youth. Rather it suggests that merely adopting any single one of these frameworks will omit human potential identified through scientific research. As with defining human potential, there are a variety of frameworks and theories related to defining human needs. Perhaps the most well-known framework is the hierarchy of human needs developed by Maslow (1954, 1971). He described four deficiency needs (physiological. safety and security, belongingness and love, esteem) and two growth needs (self-actualization and transcendence). He also described the first two levels of self-actualization as the need to know and understand and the need of beauty or aesthetics. Pink (2009) developed a theory of adult motivation in which he identified three basic drives: autonomy, mastery, and purpose. This is similar to the psychological needs proposed in self-determination theory (Ryan & Deci, 2000, 2008). Seligman (2011) provided another framework that focused on demonstrating a high level of well-being that he called flourishing: positive emotions, engagement, positive relationships, meaning and purpose, and accomplishment or achievement. In a similar framework, Diener and Biswas-Diener (2008) described how a measure of life satisfaction (focused on being engaged and interested) and measures of psychological and emotional well-being can make clear what it means to live the "good life." As in the previous analysis, a comparison of these four frameworks showed that no single framework fully addressed the domains identified by others as indicating human potential (Huitt, 2011c). Again, this does not mean that each of these frameworks is not providing valuable information; rather it means that those involved in identifying desired outcomes for children and youth will need to analyze multiple options in some detail in order to make a determination of the outcomes that should be the focus of the curriculum. Using research and theory to identify human potential and needs seem quite reasonable given that human beings have been anatomically stable for at least 40,000 years and likely hundreds of thousands of years before then (Huitt, 2012d). However, the context of the 21st century is dramatically different and raises the issue of how that might impact the knowledge, attitudes, and skills that need to be developed for successful adulthood. Tapscott (2000, 2008) suggested that the movement from an analog reality to one that is founded on the digitalization of information is a significant shift in human history. In this video he briefly described some of the implications of this change. Perhaps the most important is that the human brain is actually changing as a result of interaction with this digital environment (Small & Vorgan, 2008). Others have described this shift as the information age (Toffler, 1970) or the conceptual age (Pink, 2005), but Wallerstein (2000) stated that the industrial and digital-information-conceptual ages combined should more rightly be consider as the age of transition. The "S" curve shown in Figure 3 maps any number of phenomena, from number of people are earth, to number of miles traveled, to new inventions, etc. On almost any metric the rate of change in human lifestyle is unlike anything ever experienced. About 300 years ago, philosophers and theologians began to think differently about reality and role of humanity (Wallerstein, 2000). That change in thinking led to new scientific insights which, in turn, resulted in a hundred years of transition in Europe that dramatically changed normative patterns of working and living. That process was replicated in the USA where almost 50% of the population still worked in agriculture in the 1860s; that number has dropped dramatically until today only 3 to 5 percent of the population is employed in agriculture (Huitt, 1999b). This pattern is quite similar to what is seen in China today (National Bureau of Statistics, 2005). About 60 years ago, humanity began to experience the beginnings of the digital age and information revolution and the rate of change is now unequivocally exponential. In fact, Kurzweil (2003) stated that "it is not the case that we will experience a hundred years of progress in the twenty-first century; rather we will witness on the order of twenty thousand years of progress (at today’s rate of progress, that is)." The implications of this trend is that humanity will experience a rate of change beyond anything currently imagined by even the most far-sighted and intuitive thinkers and writers. This rate of change will lead to increasing instabilities, at least for the next several hundred years. Parents and educators must assist children and youth to be prepared for successful adulthood while at the same time adapting to changes around them. There is a positive to this changing sociocultural context, though. The reality is that for most of human history, humanity, like all organisms, had to adapt to a relatively hostile environment. During the 20th century increasing numbers of people had to learn to adapt to a fast-changing, though relatively less hostile environment that has led to the opportunity for more and more people to thrive and flourish. 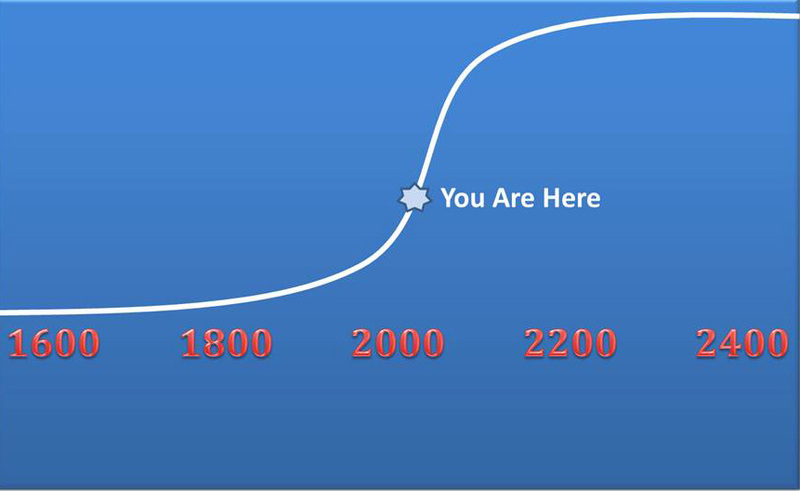 One might think of this change in developing human potential as different stages of humanity, first in infancy (hunter/gatherer) and childhood (agriculture), and now in its adolescence (industrial) and emerging adulthood (digital and information/conceptual), preparing to enter adulthood as a species. Presently, there is the possibility of first imagining and then creating an environment to which future generations of children and youth will more readily adapt. This is the issue to which those who focus on the demands of the 21st century are applying their imaginations and efforts. One of the most recognized attempts to define the knowledge, attitudes, and skills necessary to flourish in this century, at least in the USA, was developed by the Partnership for 21st Century Skills (2009). It built upon earlier work done in the early 1990s under the guidance of the Secretary of Labor titled the SCANS report (Huitt, 1999a). While the set of knowledge and skills specified is quite remarkable, it completely omits any reference to affect/emotional or moral character development, as well as issues related to meaning and purpose. A strength of this framework is that it described in depth issues dealing with citizenship such as starting and maintaining a family, starting and maintaining a career, becoming financially independent, and participating in civic society. The importance of these issues cannot be overstated as anyone who has worked in K-12 education can attest. For example, the family is the smallest unit of society and the child's first school (Barton & Cooley, 2007; Goode, 1981). Although it seems as if the family has come under attack in recent decades, the U. S. Census Bureau (2005) found that by age 60, 95% of Americans had been married at some point in their lives. One can imagine the statistics are similar for most places around the world. Moreover, marriage has positive benefits in terms of people's happiness and well-being (Waite & Gallagher, 2001). Additionally, facilitating parents to prepare their children for the benefits of schooling are quite well known, if not always implemented (Binford & Newell, 1991). The importance of preparing young people for the world of work is shown dramatically in countries that are experiencing high levels of unemployment at the same time that middle class jobs for those with relatively low educational levels are disappearing (Diehm & Hall, 2013). The reality is that most new jobs in the coming decades will be in career specialties that have not yet been established (Clark, 2006). Moreover, in countries where high numbers of individuals work in the service and information sectors of the economy, most people will have seven jobs in three different careers throughout their working lives (Polachek & Siebert, 1993). This challenge is demonstrated by the fact that, although unemployment is less for individuals earning a 4-year degree, many college graduates do not get their first job in the field for which they were prepared (Sum & McLaughlin, 2008). The issue of finances is closely related to the issue of work and career. Kiyosaki and Lechter (2000) proposed there are four career categories when thinking about creating financial wealth: (1) employee, (2) self-employed, (3) entrepreneur, and (4) investor. A major distinction among these categories is how income is generated. An employee essentially trades time for dollars and income is dependent on the amount of dollars paid per hour. As there is a limit on the number of hours any individual can work, that sets an upper limit on income. An individual who is self-employed with no employees is in the same situation. However, the self-employed person has the opportunity to hire employees and then collect income based on their productivity. This is essentially the case for the entrepreneur with the addition that the income generation can be enhanced by having multiple divisions or locations for generating income. The investor has the potential to have passive income and cut the ties between time spent and income. The widening gap between the very wealthy and everyone else seen in today's modern economy (see Wikinson & Pickett, 2009, for a discussion of this phenomena and its social implications) is a result of an uneven ability of some individuals to take advantage of the opportunities provided by a changing economic structure to engage in entrepreneurship and investing, while others can only demand relatively low wages for the time they spend working as employees (Huitt, 2008). This is a significant issue that must be addressed in the K-12 curriculum. Ramsey (2008) stated that saving and staying out of debt are just as important as earning. In fact, he suggested that anyone with only an average income in a developed country such as the USA is able to become very wealthy simply living on substantially less than earned income and beginning a savings program in his or her early twenties. The key is delayed gratification which is not an easy attitude to develop or skill to learn. Fortunately, there are standards for financial literacy (Council for Economic Education, 2013; Jump$tart Coalition for Personal Financial Literacy, 2007) and a wide variety of materials available on personal finance that could easily be incorporated into the K-12 curriculum (e.g., http://www.econedlink.org/). Another issue discussed by the Partnership for 21st Century Skills (2009) is related to sociocultural knowledge and responsibilities that allow one to fully participate in a society. In addition to family literacy and skills, they specifically addressed environmental literacy, media literacy, information and communication technologies (ICT) literacy, and the valuing and participation in social structures. Their basic advocacy is that children and youth need to be prepared to participate in social and cultural activities without restrictions. Wagner (2008, 2012) also created a list, though less detailed, of attributes necessary for adult success that he identified through extensive interviews with leaders in business, government, and industry. Wagner's (2012) work on developing the attributes related to creativity and innovation is especially interesting as those are the skills that are difficult to develop using the industrial-age K-12 schooling system that is focused on increasing scores on standardized tests of basic skills (Robinson, 2011). Huitt (2012c) provided an analysis of the Partnership for 21st Century skills and those suggested by Wagner. As in the other analyses, there were human potentials not addressed by these perspectives. All of the frameworks discussed have some legitimacy and should be considered as educators make decisions about how to develop individual human capacities that will allow children and youth to meet their needs and grow and develop their competencies in order to thrive and flourish in the sociocultural context of the 21st century. Huitt (2012b) provided a spreadsheet comparing all of the frameworks discussed in this essay. One of the most interesting results is that only the IBO Learner Profile (International Baccalaureate Organization, 2009) advocated the need for children and youth to develop the ability to think like an artist, historian, mathematician, scientist, etc. rather than simply demonstrating mastery in those content areas. Gardner (2000) discussed this idea extensively and this supports Wiggins and McTighe's (2007) advocacy of teaching for understanding. Another domain that did not get extensive attention by the majority of the frameworks is the importance of physical health and the development of a healthy lifestyle. Given that obesity is one of the primary challenges that face children and youth (as well as adults) today (Trost, 2009), it would seem that this issue should receive substantial support in any curriculum development efforts. Provide a process for making decisions about curriculum for global citizenship. Derive knowledge from each and all of the multiple sources that identify potentials, needs, or necessary knowledge, attitudes, and skills. Provide for personal and societal development -- increased differentiation and integration (unity with diversity). Those items in the just-in-case category will also depend on a number of factors. For example, if one desires to attend an elite university and major in computer science, an AP calculus course might be considered to be part of a justified curriculum whereas this might be part of a just-in-case curriculum for those who plan to enroll in a local community college with an undetermined major. The same might be said for many of the Advance Placement or even honors courses in the traditional academic disciplines. For some students, courses that would allow dual enrollment in a technical college might be more justified. The challenge is, of course, how to work with young people and their parents so as to optimize the choices that will be available to the student after high school graduation. Offering a variety of experiences that allows students to engage in authentic work-related experiences is certainly a significant part of this process. Also, providing individuals an opportunity make a change in direction with a minimal loss of academic credit should be considered. The most varied category will be the just-in-time category. Items in this category might be prerequisite knowledge and/or skills that were supposed to be learned previously (i.e., they are part of the justified curriculum in a earlier grade) or can be taught quickly with a minimum of effort, and are needed for a specific learning experience. For example, a science teacher might have a problem-based learning experience that requires learners to solve a quadratic equation. The teacher could prepare or find an online lesson covering that topic that would provide enough instruction so that students either remember how to do this task or have just enough information that they can participate in the activity. The students could complete the lesson in the previous day's class or as a homework assignment before engaging in the problem-based learning activity. Or the teacher might want students to engage in a lesson that requires them to use a specific component of a presentation program such as Power Point. Again, the teacher could cover that quickly or develop a homework lesson that students before having students engage in the activity. The most important issue is that each school must determine how it can best meet the needs of their particular students. Simply attempting to cover every activity in a textbook or systematically addressing every standard in a specific curriculum is not likely to meet all students learning needs. Rather teachers can use published curricula and textbooks as guides for making decisions about topics to be taught that are specific to the needs and learning experiences of their particular students. In summary, while there is much discussion regarding philosophy, development and learning theory, projected needs for adult success in the 21st century, assessment practices, and a myriad of other issues, these are all made practicable in the stated curriculum. It is easy to recognize that what has been done in the past, while it might have been very effective for that time period, will need to be modified or perhaps totally discarded in the process of developing present curricula as well as pedagogy, assessments, and methods of communication with parents and other interested stakeholders. The most important factor is not to be absolutely correct in every decision made, but rather to have a framework in place that can be used in an iterative manner to adjust those decisions going forward. A framework that addresses the issues discussed in this paper will also provide the opportunity for educators to discuss the rationale for their decisions and to share what they find that works and what does not. Table 2 provides a summary of the components of curriculum development as shown in Figure 1 above and how one's view of the learner can impact each of the components of the curriculum. This table begins with one's view of the learner or how learning occurs and shows how decisions in the other components are reflected by that decision. I advocate that it is necessary to think of one's view of the learner, the desired outcomes, and how they might be assessed in a spiral or iterative manner. That is one might think of how one views the learner, major topics to be addressed, and some alternative generic assessment processes that would match the first two. For example, if one thinks of the learner as a reactive observer as one would do from an operant conditioning perspective, one would identify specific skills that need to be developed and would assess each one of those independently as the learning process proceeds. The curriculum would be developed inductively, connecting specific skills into more complex tasks. Or if the learner is viewed as an inquirer as advocated by cognitive constructivists, one would identify mental models that students use to interact with the natural, built, and social environment, and would develop tasks that would create disequilibrium on the part of the learner. The assessment would be comprised of a variety of tasks that would allow the learner to demonstrate the construction of new mental structures that can be used in a wide variety of situations. Or if the learner is viewed as a networked life-long learner, the curriculum would comprise knowledge, attitudes, and skills that would allow individuals to connect with networks of databases and people and engage in authentic tasks that would create something of value to the network. The assessment would address connecting to the network (or perhaps even developing a new one) and creating a valued product. The critical feature of curriculum development at the building level is to have multiple, deep discussions about all of the components in the framework and to begin to come to some agreements about each of those components. In my opinion, it is really too much to expect complete agreement among all parties, but it certainly is reasonable to expect that everyone is able to articulate and implement a view that is compatible with the school's stated mission and vision. Diversity of views and practices can contribute to a rich and lively learning culture at a school. However, too much diversity can be detrimental to the school's meeting its mission and attaining its vision. Pedagogy Scripted Lessons Direct Instruction Modeling Demonstrations and guided practice Guided inquiry projects and challenging problems Self-organized learning activities Combinations of activities designed to address environmentally- and personally-set goals Facilitate learners to connect to various networks of knowers and knowledge and contribute to the production of knowledge that can be accessed throughout one's lifetime. Finally, it is important that school and classroom practices address desired outcomes as created by the school (or adopted from national or state curricula as is the case in many school systems) and that institutions hold themselves accountable for their actions. There are a variety of aspects to this. Alton-Lee and Nuthall (1992) advocated that schools and classrooms should be evaluated on their providing an opportunity to learn which includes specific instruction on valued knowledge and skills (Cohen, 1995; Cooley and Leinhardt, 1980). In fact, these researchers found that this factor overwhelmed the amount of variance explained by all other variables, including the instructional practices of the teacher. At the same time, Hattie (as cited in Huitt, Huitt, Monetti, & Hummel, 2009), in a meta-analysis of 800 meta-analyses, identified seven school-level factors, fourteen curricular options, fourteen teaching strategies, and eight specific teaching events that were related to improved student learning. In the end, however, it is the overall coherence of the instructional program, not the individual parts, that results in learning improvement that can be sustained over a significant period of time (Oxley, 2008). Alton-Lee, A., & Nuthall, G. (1992). Children’s learning in classrooms: Challenges in developing a methodology to explain “opportunity to learn.” Journal of Classroom Interaction, 27(2), 1-2. Binford, V., & Newell, J. (1991). Richmond, Virginia’s two decades of experience with Ira Gordon’s approach to parent education. The Elementary School Journal, 91(3), 233-237. Blatt, M. M., & Kohlberg. L. (1975). The effects of classroom moral discussion upon children s level of moral judgment. Journal of Moral Education, 4(2), 129-161. Brown, C. S. (2007). Big history: From the big bang to the present. New York: W. W. Norton. Browne, H. J., Jr. (1991). Life’s little instruction book: 511 suggestions, observations, and reminders on how to live a happy and rewarding life. Nashville, TN: Thomas Nelson. Case, R., & Bereiter, C. (1984). From behaviorism to cognitive behaviorism to cognitive development: Steps in the evolution of instructional design. Instructional Science, 13, 141- 158. Christian, D. (2011). Maps of time: An introduction to big history. Berkeley, CA: University of California Press. Cohen, S. A. (1995). Instructional alignment. In J. Block, S. Evason, & T. Guskey (Eds. ), School improvement programs: A handbook for educational leaders (pp.153-180). New York, NY: Scholastic. Cooley, W.W., & Leinhardt, G. (1980). The instructional dimensions study. Educational Evaluation and Policy Analysis, 2, 7-25. Cowan, J., & Harding, A. (1986). A logical model for curriculum development. British Journal of Educational Technology, 17(2), 103-109. Crain, W. (2010). Theories of development: Concepts and applications (6th ed.). Upper Saddle River, NJ: Pearson. Frelin, A., & Grannas, J. (2010). Negotiations left behind: In-between spaces of teacher-student negotiation and their significance for education. Journal of Curriculum Studies, 42(3), 353-369. Gagne, R. (1974). Essentials of learning from instruction. Hinsdale, IL: Dryden. Gardner, H. (2000). The disciplined mind: Beyond facts and standardized tests, the K-12 education that every child deserves. New York, NY: Penguin Books. Greenberg, M., Weissberg, R., O'Brien, M., Zins, J., Fredericks, L., Resnik, H., & Elias, M. (2003). Enhancing school-based prevention and youth development through coordinated social, emotional, and academic learning. American Psychologist, 58(6-7), 466-474. doi: 10.1037/0003-066X.58.6-7.466. Johnson, L. (2003). The diversity imperative: Building a culturally responsive school ethos. Intercultural Education, 14(1), 17-30. Kiyosaki, R., & Lechter, S. (2000). Rich dad, poor dad: What the rich teach their kids about money--That the poor and middle class do not. New York: Warner. Perry, W., Jr. (1999). Intellectual and ethical development in the college years: A scheme. San Francisco: Jossey-Bass. (Originally published in 1970). Pink, D. (2005). A whole new mind: Moving from the Information Age to the Conceptual Age. New York: Riverhead Hardcover. Polachek, S., & Siebert, W. S. (1993). The economics of earnings. New York, NY: Cambridge University Press. Ramsey, D. (2008). The total money makeover: A proven plan for financial fitness (3rd ed.). Nashville, TN: Thomas Nelson. Robinson, K. (2011). Out of our minds: Learning to be creative (Rev. ed.) . Chichester, West Sussex, UK: Capstone Publishing, Ltd.
Rutter, M., Maughan, B., Mortimore, P., Ouston, J, and Smith, A. (1979). Fifteen thousand hours: Secondary schools and their effects on children. Cambridge, MA: Harvard University Press. Ryan, R., & Deci, E. (2008). A self-determination theory approach to psychotherapy: The motivational basis for effective change. Canadian Psychology, 49(3), 186-193. Tapscott, D. (2000). Growing up digital: The rise of the net generation. Cambridge, MA: Harvard Business Press. Tapscott, D. (2008) Grown up digital: How the net generation is changing the world. New York, NY: McGraw-Hill. Wagner, T. (2012). Creating innovators: The making of young people who will change the world. New York, NY: Simon & Schuster. Waite, L, & Gallagher, M. (2001). The case for marriage: Why married people are happier, healthier, and better off financially. New York, NY: Broadway. Wallerstein, I. (2000). Globalization or the Age of Transition? : A long-term view of the trajectory of the world-system. International Sociology, 15(2), 251-267. Wiggins, G., & McTighe, J. (2007). Understanding by design (Expanded 2nd ed.). Alexandria, VA: Association for Supervision and Curriculum Development (ASCD). Wilkinson, R., & Prickett, K. (2009). The spirit level: Why greater equality makes societies stronger. New York, NY: Bloomsbury Press. All materials on this website [http://www.cosmic-citizenship.org] are, unless otherwise stated, the property of William G. Huitt. Copyright and other intellectual property laws protect these materials. Reproduction or retransmission of the materials, in whole or in part, in any manner, without the prior written consent of the copyright holder, is a violation of copyright law.